We can make continuous plastic sheets for the construction of waterslides. We usually make them 3mm thick, up to 1600mm wide and (within reason) any length. Longest one we’ve done was 125m – what a ride! We add UV stabiliser to prolong its life, but be aware that it will eventually break down under NZ’s harsh sunlight conditions. We have made these for several holiday parks and campsites around NZ. 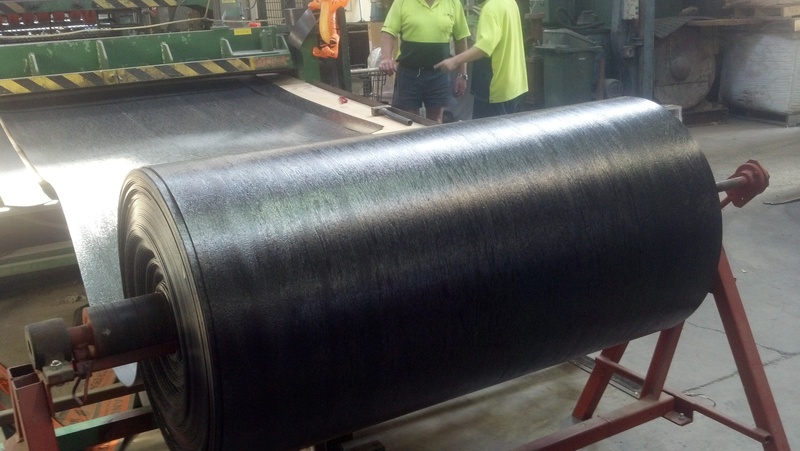 We manufacture them to order so lead-time may be up to a month depending on current workloads. Please allow for this when planning your project. You should also remember that the longer the slide, the heavier it will be. Phone us for advice, we can tell you exactly how much your planned slide will weigh. Please note that we only supply the plastic sheet. 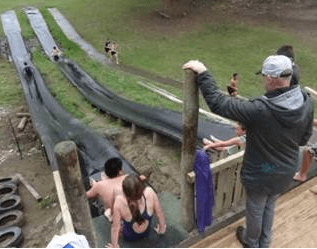 All design and construction is entirely up to you and, of course, we encourage anyone making such a slide to ensure that it will be safe to use considering such aspects as gradient, substrate, bumps and sufficiently sized landing area. You must seek advice from someone qualified to give it. Second Life Plastics is not qualified to give construction advice and will accept no responsibility for the viability or safety of any waterslide project. We recycle plastic and use it to make plastic sheets – that’s what we know.